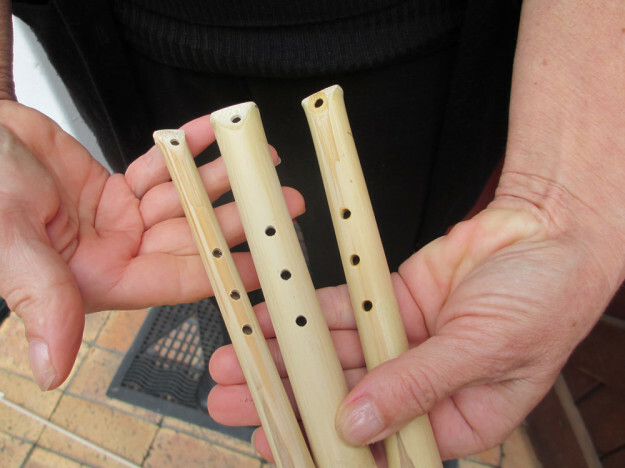 How To Make A Nose Flute?! Yes that is correct. Those are nose flutes and yes I made them. Smart hey? First off you are probably wondering why on earth I would make a nost flute, let alone three. Let me explain … Good friends of mine started dating and one night we were watching an episode of The Amazing Race. You know when they get to the end and jump onto the mat to meet Phil they generally have someone in traditional garb waiting at the end. This episode saw them in India (I think … the country isn’t actually that important) and the guy at the end was wearing a turban and playing two nose flutes. I piped up that at S&J’s wedding I would play the nose flute at the ceremony and would whittle one myself. The “joke” became even more real when S declared that the song needed to be Dire Straits “Money for Nothing”. Challenge accepted. This has sort of been a standing joke and recently when these two lovely people got engaged I thought what better present to give them than nose flutes! And so the nose flute making adventure began. I did a search on google and found what looked like a really simple way to make a nose flute. All you needed was a piece of bamboo, wood glue, some dowel sticks of the correct diameter to fit into the bamboo, a saw, a drill and some sand paper. So off I went to builders warehouse and got the stuff. Felt a bit arb wondering around Builders Warehouse with one piece of bamboo about double my height. Anyways I got it all into my car and took it off to my parentals house where the “tools” would be (and the help of my mom). First off I went to find a saw – crisis the one my parents have is old and rusty and it took forever to work my way through the bamboo. Anways it was done, I had pieces of various lengths. 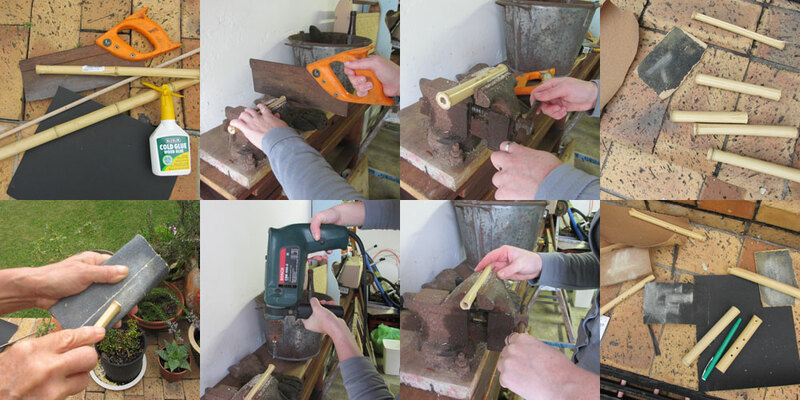 Bonus was that when you cut it at the right point one end was already closed off – so no need for the dowel or glue. Next thing was to sand down and wedge on the closed end and mark off a spot to drill a hole at the top. You then mark off a hole in the same line as the hole in the top at the exact halfway point of the piece of wood. You then mark off a point on each side a thumb length apart. Next it was time to drill the holes. Wooohooooo that was the fun part! After a few practise drills I’d managed to work out a system of how to do this. Finally you sanded the edges, in the holes, and a light sanding inside the tube and on the outside to smooth it over. And voila – the finished product. What was even more cool is the fact that they worked! I finished it off with the sheet music for “Money for Nothing” and wrapped it in the first pages of it too! I always maintain the best gifts take a little bit of thought and some love and care! Nose flute orchestra here we come! J&S I hope you have a long and happy life together! Congratulations! This entry was posted in Play and tagged creativity, engagements, happy times, nose flute, presents.